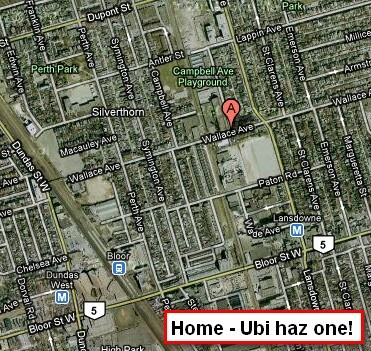 Today Derek Lebrero, Ubisoft Toronto’s Employee #1, announced the New home of the Toronto Studio. Ubisoft will be making Dovercourt-Wallace Emerson-Junction (I didn’t name it that the City did) officially their new Toronto home. Welcome to the city – can’t wait to visit.